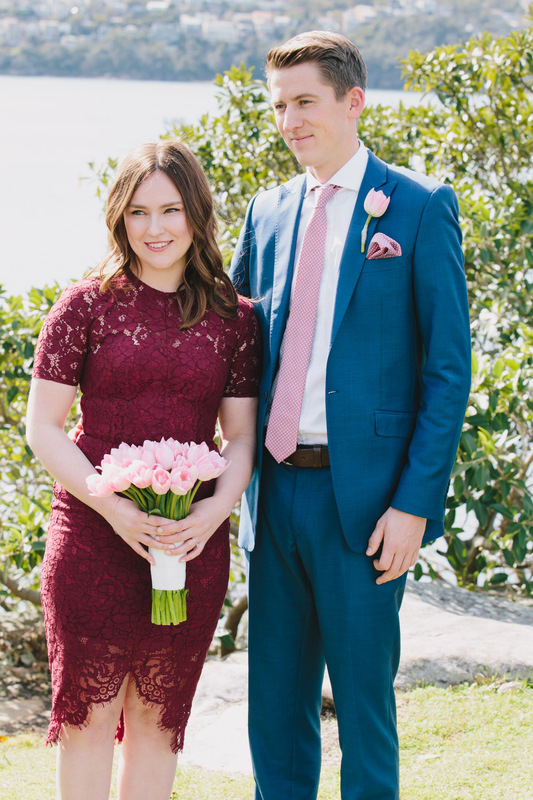 I’d like to introduce you to a very awesome couple. 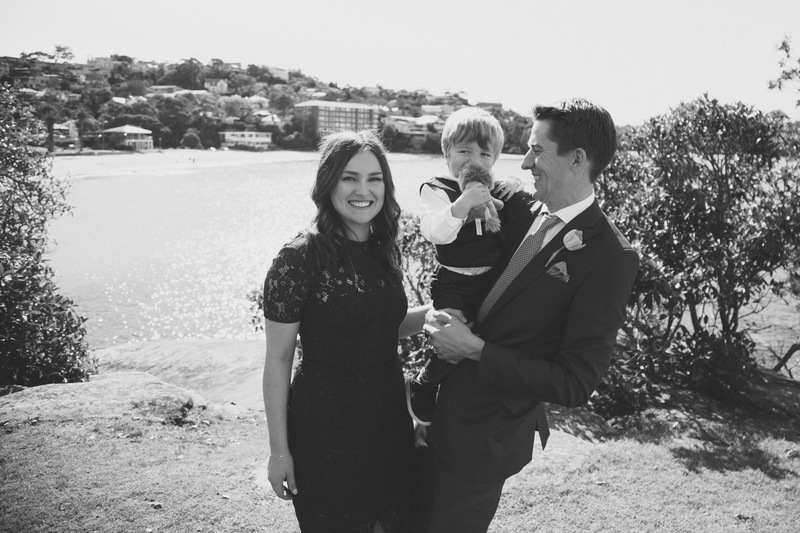 These two love birds, Jessica and Paul, are locals to Cremorne. 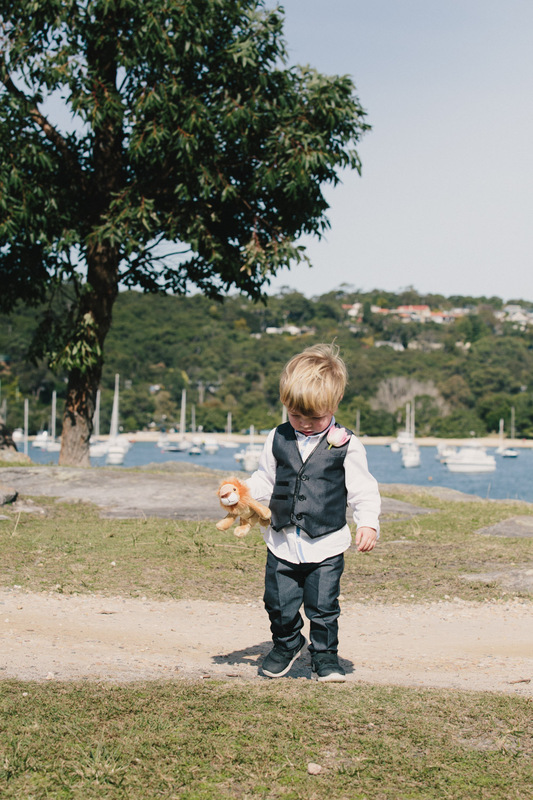 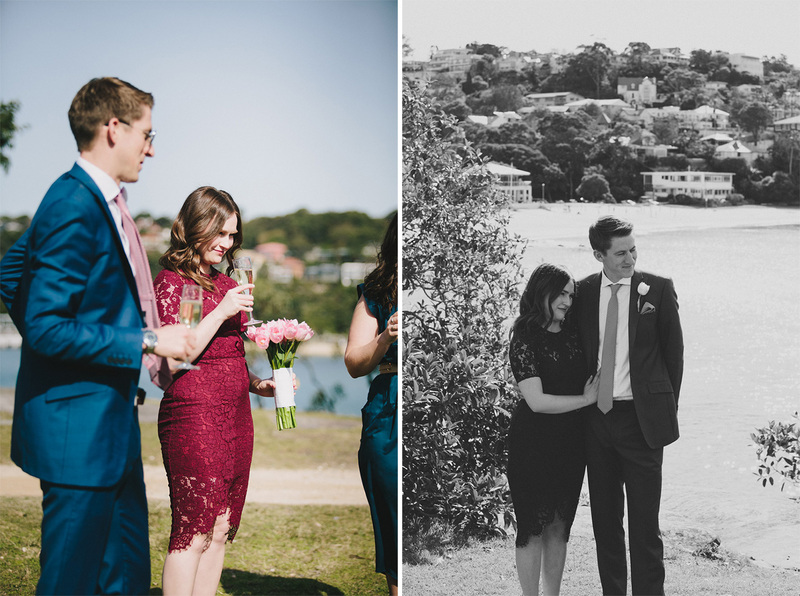 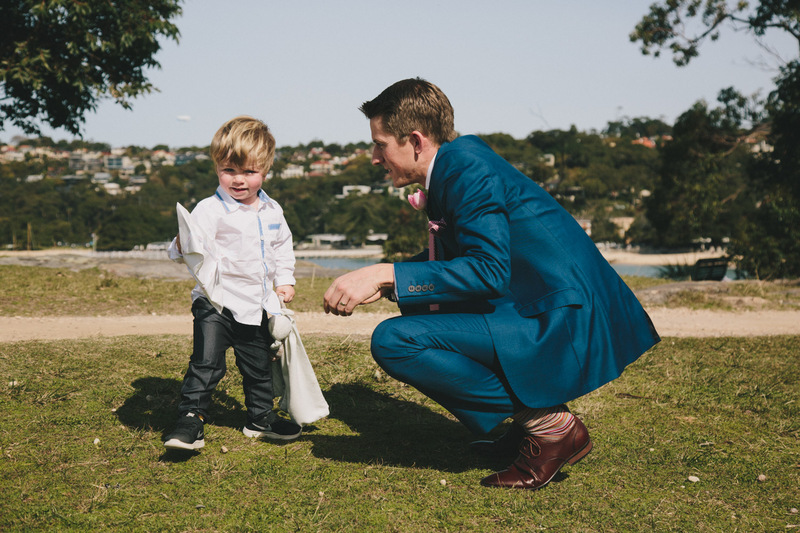 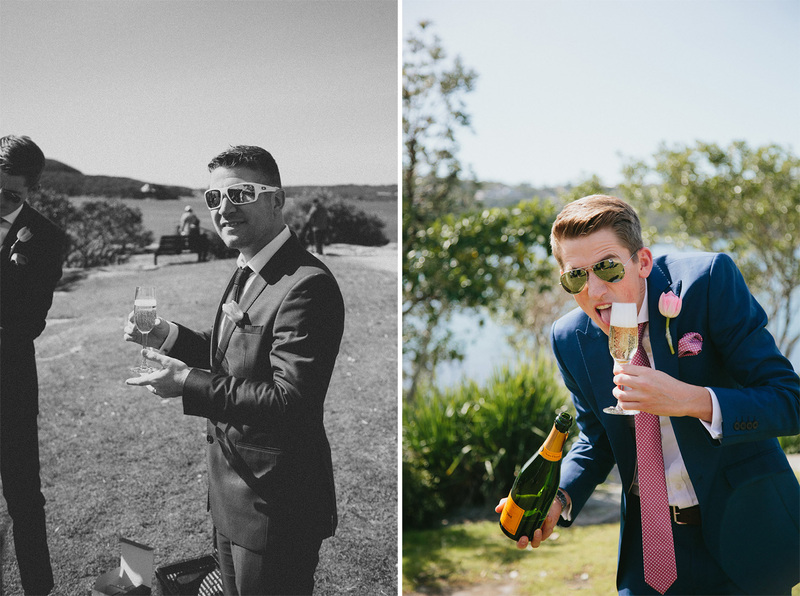 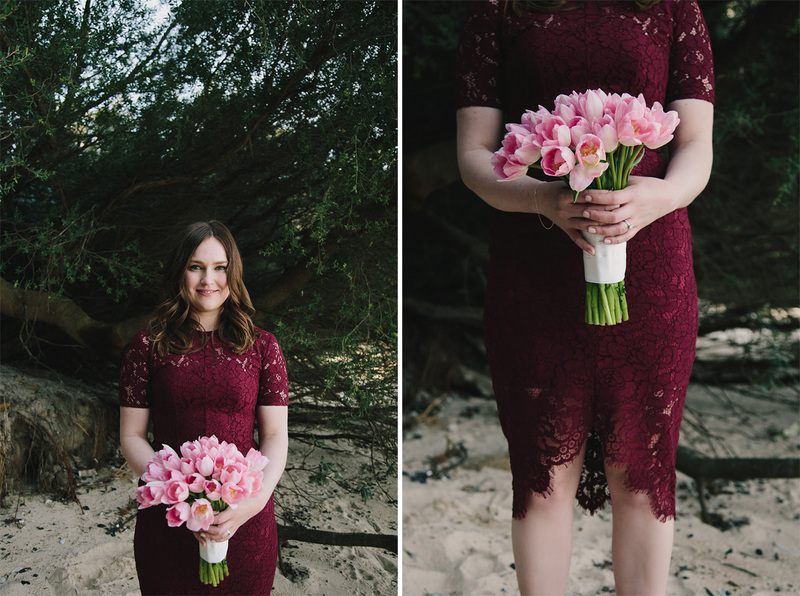 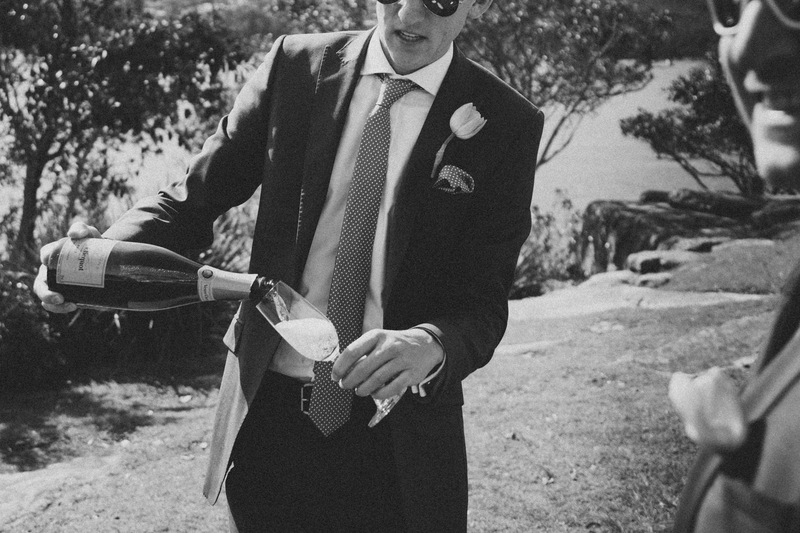 They reached out to me this winter to discuss photography for their Balmoral Beach wedding. 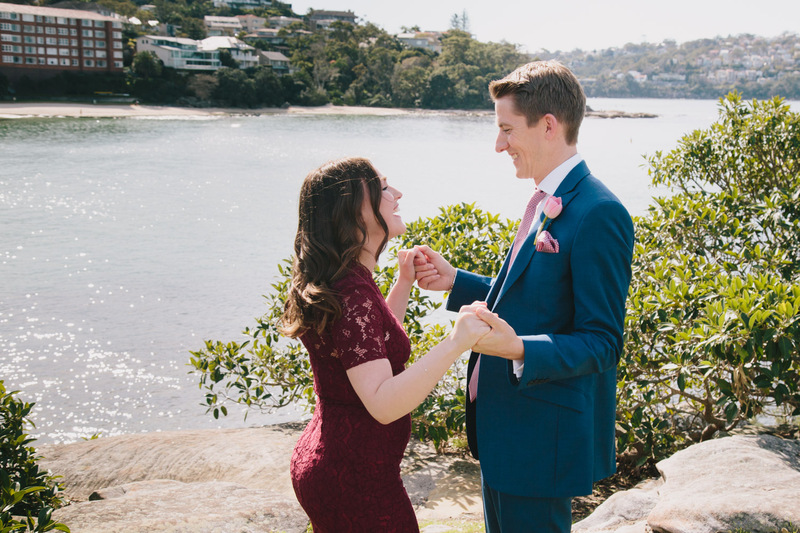 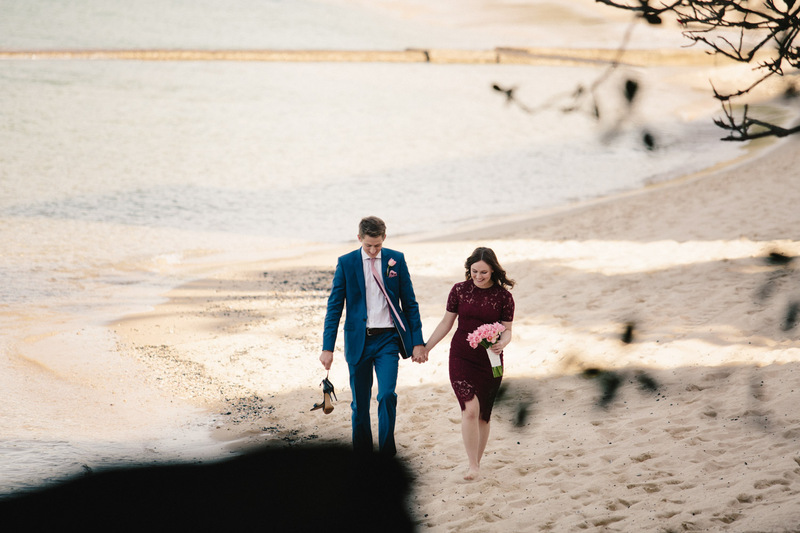 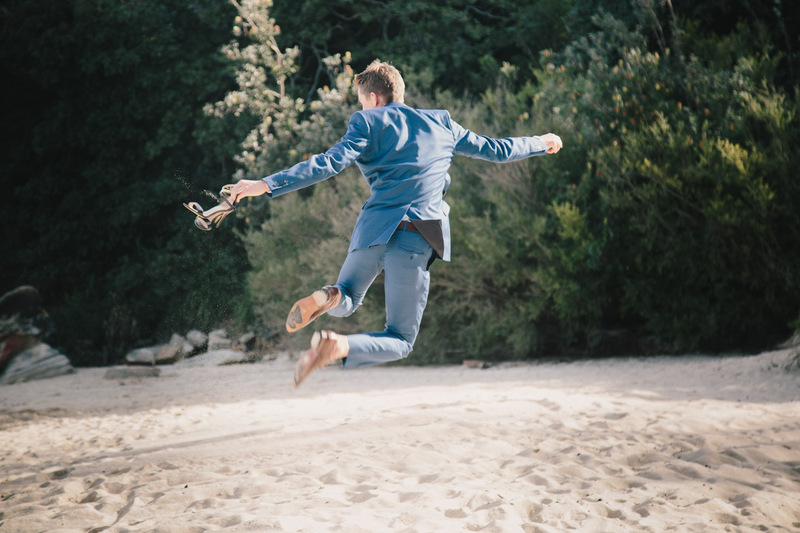 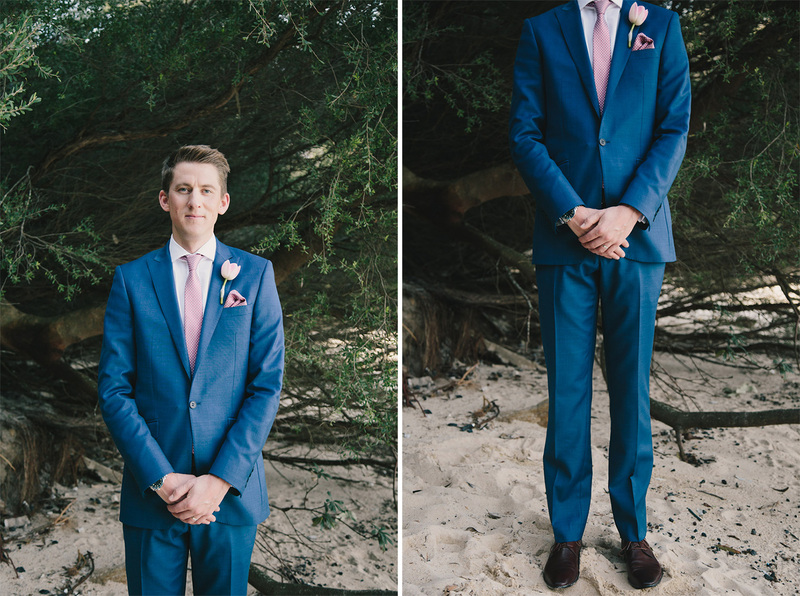 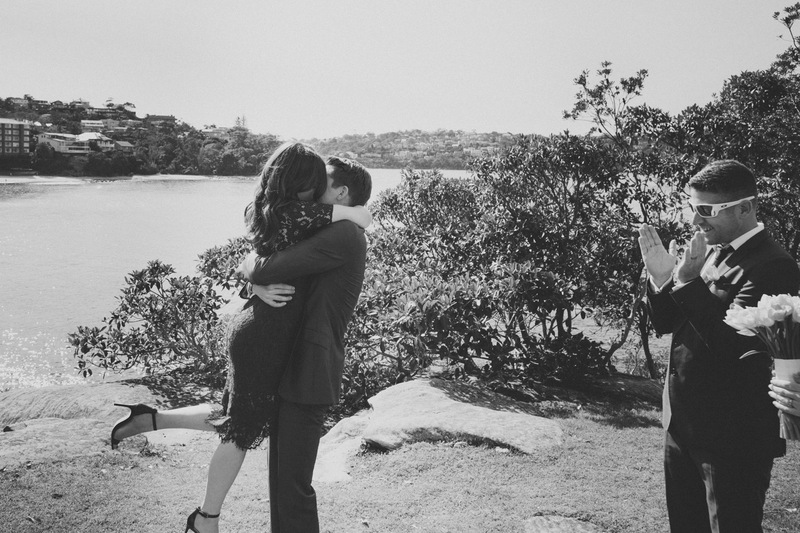 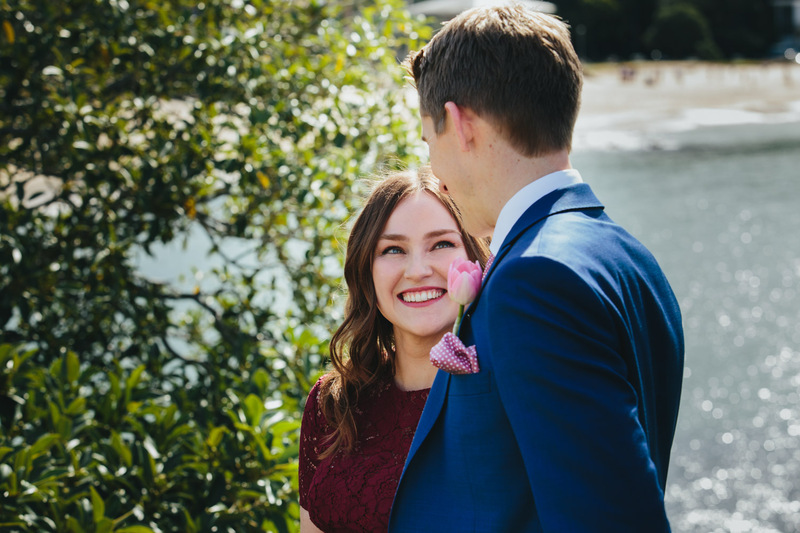 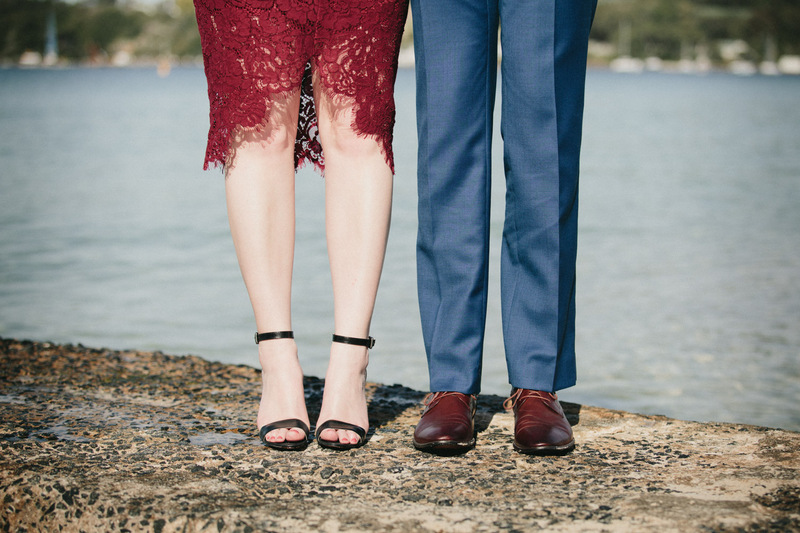 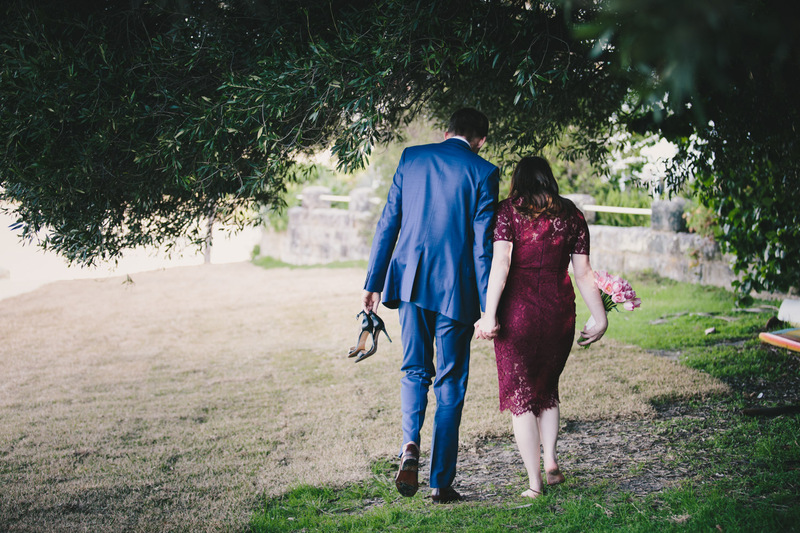 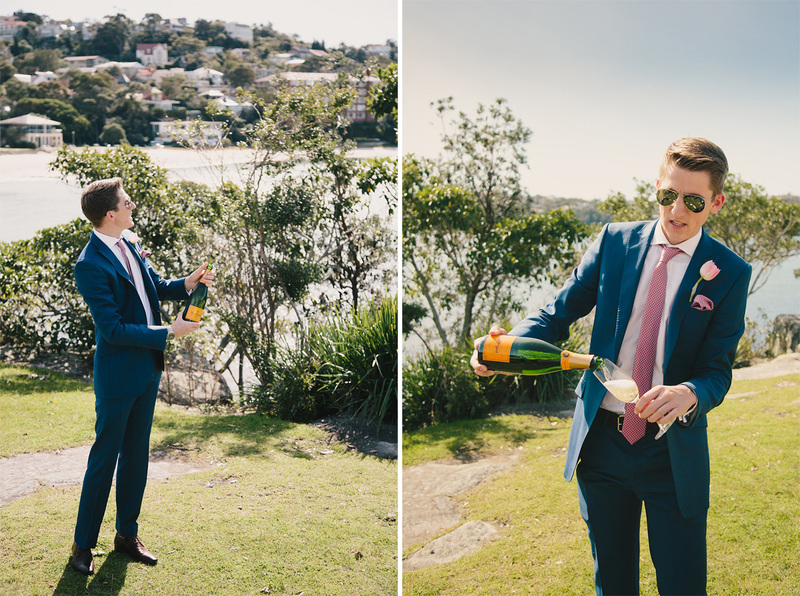 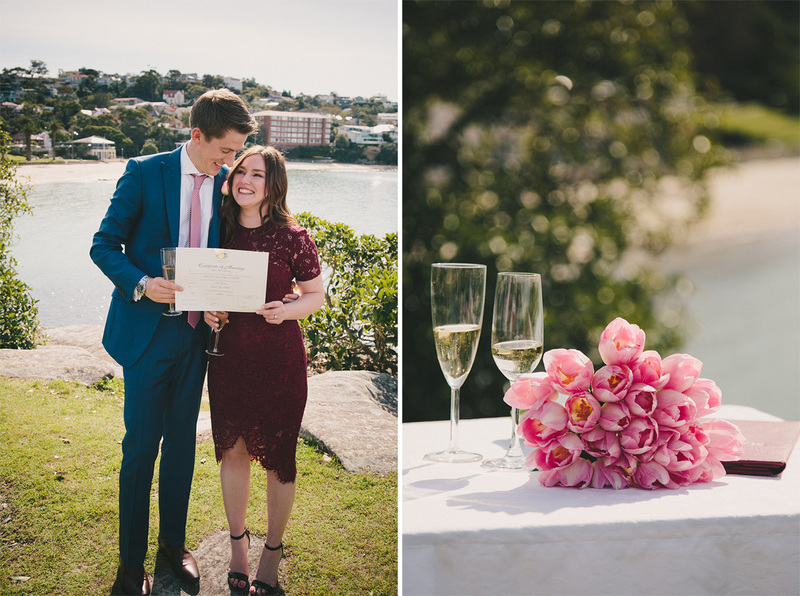 Being a Cremorne inhabitant myself, I jumped out of my seat when I saw their email come across my desk, and I was delighted to photograph Jessica and Paul’s wedding at Balmoral Beach. 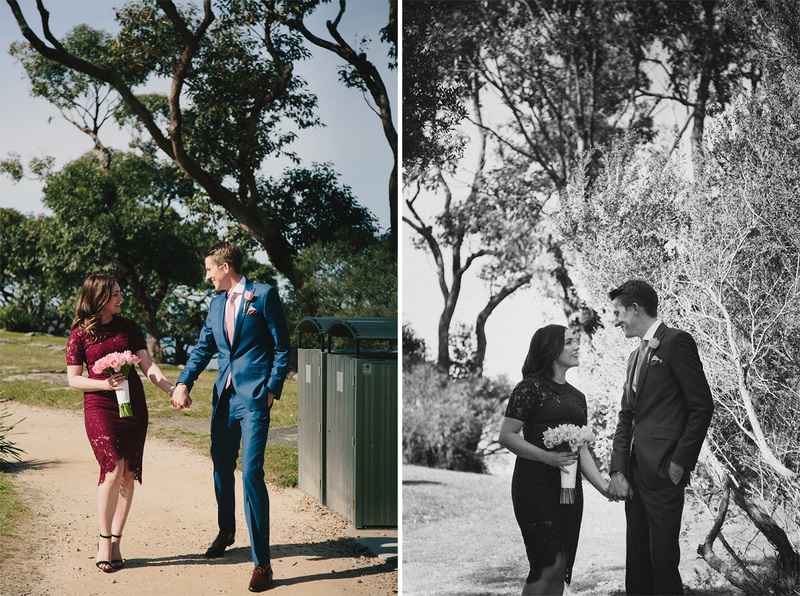 I’m not sure what it is, but when I’ve really captured a couple’s personality in photographs, I feel really good about it. 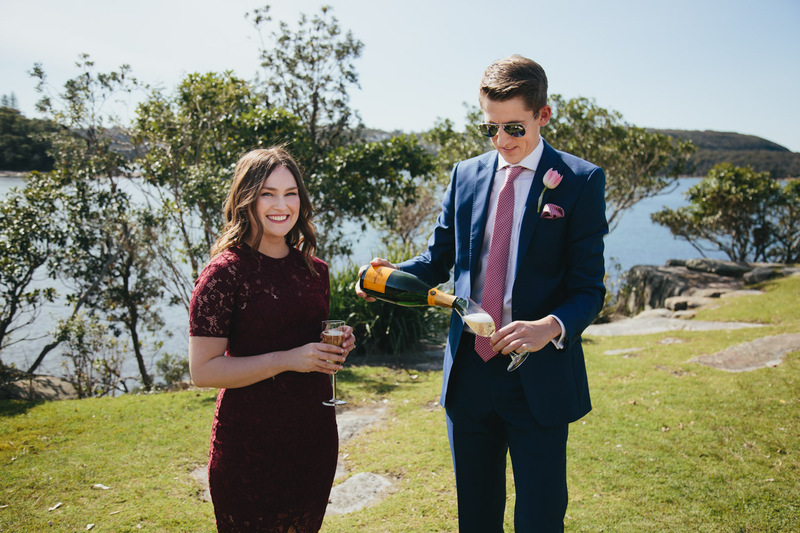 Jessica and Paul didn’t want all the fuss that comes with with a traditional wedding celebration. 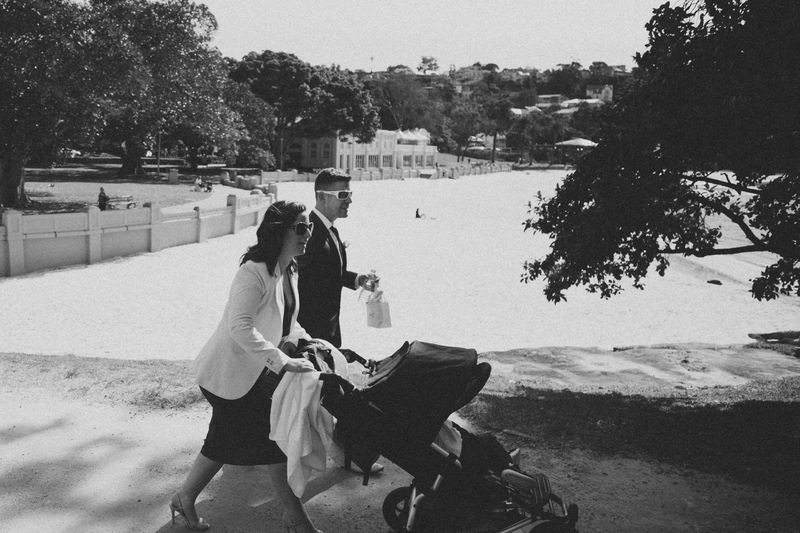 They just wanted to spend the day focusing on what matters most. 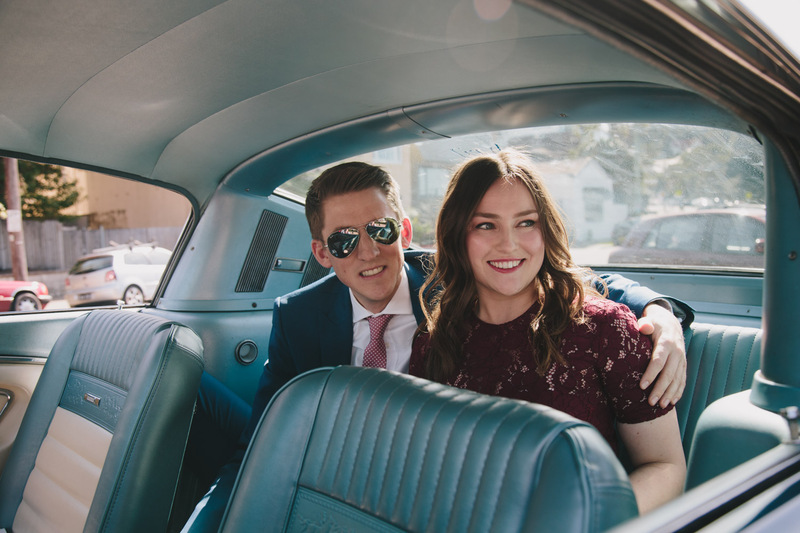 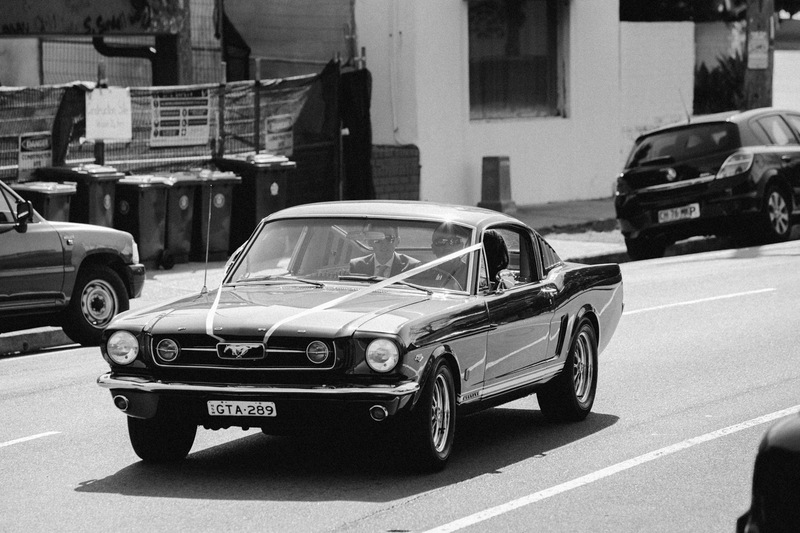 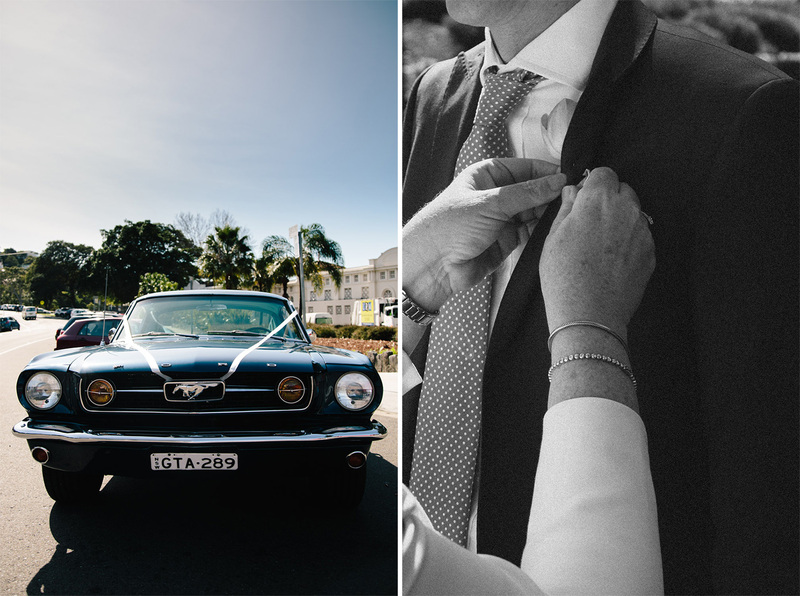 These two rocked up in an awesome blue Mustang (check it out below), and with a few of their closest friend to witness their nuptials, the Jessica and Paul were married. 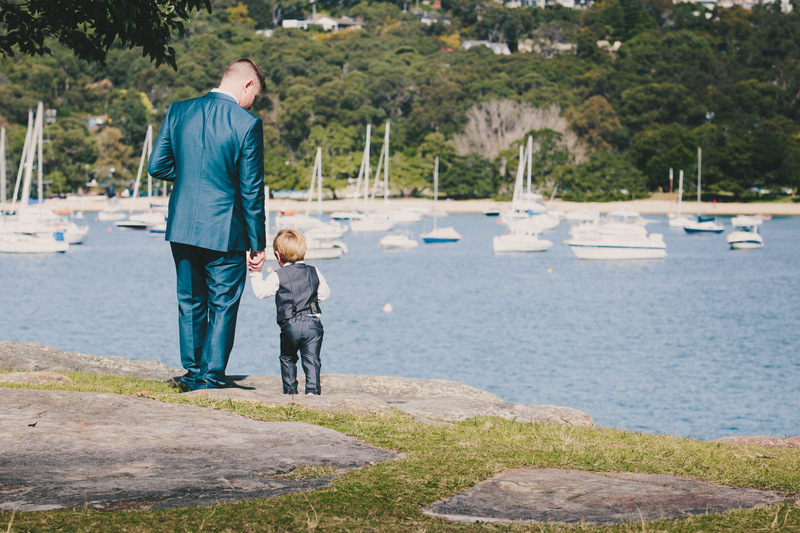 Balmoral Beach is a beautiful location for a wedding. 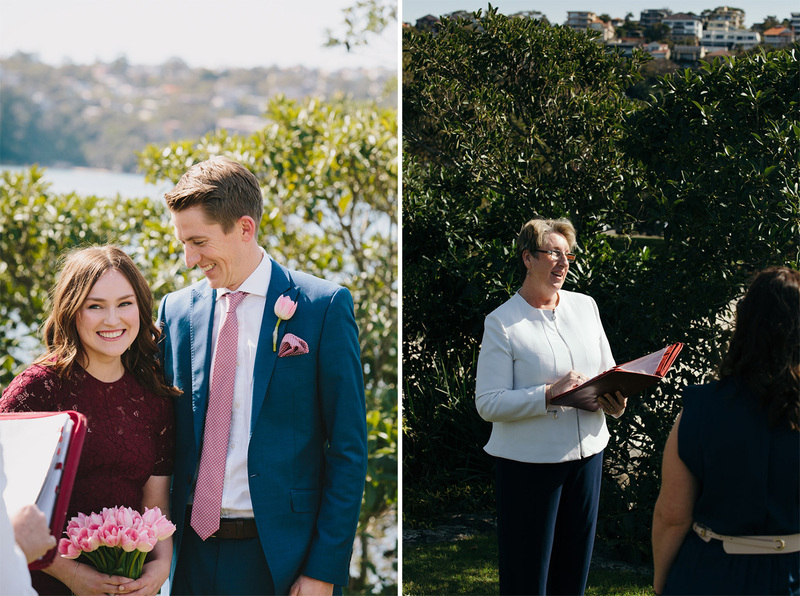 Rocky Island, which protrudes into the ocean from Balmoral Beach, is a lovely spot for a ceremony, with awesome views in all directions. 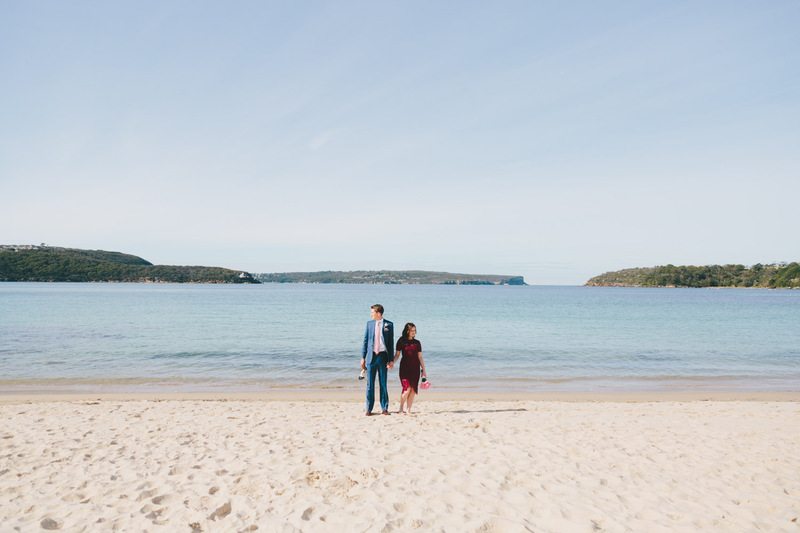 Rocky Island is joined to the mainland by a local classic – Balmoral’s white arched footbridge. 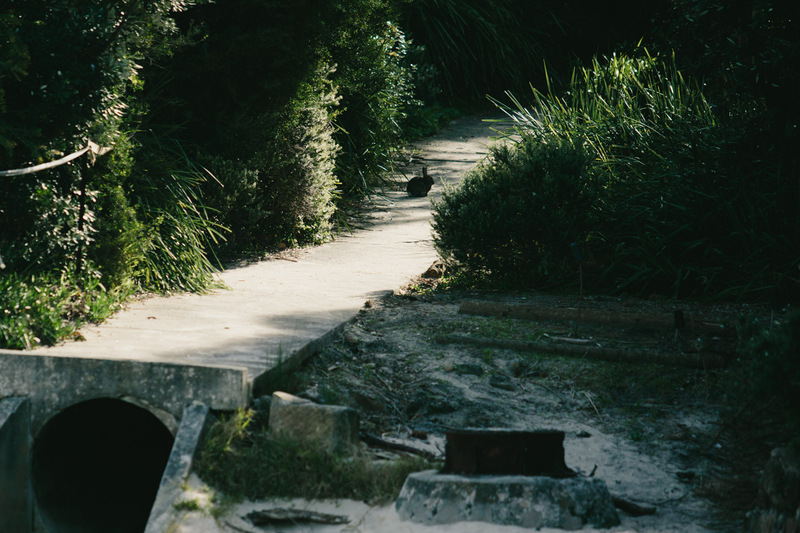 The area as a whole allows for great photograph opportunities with loads of variety. 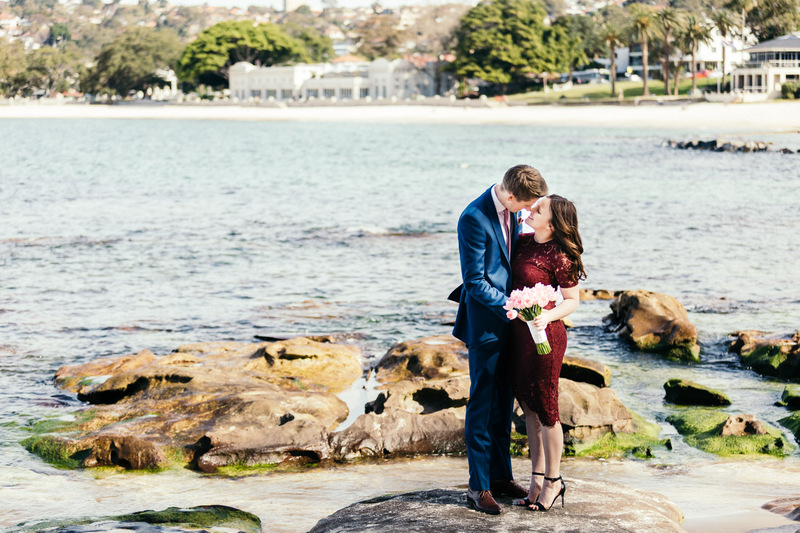 Jessica and Paul eloped on Balmoral’s beautiful Rocky Island before taking a stroll with me on the sand. 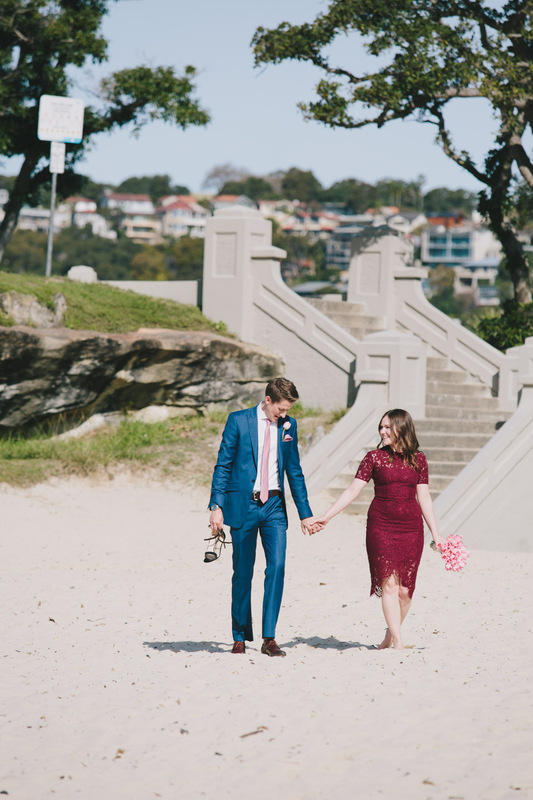 We walked to the northern end of the beach and around to the rock pools, to revisit the spot where Paul proposed to Jessica a number of months earlier. 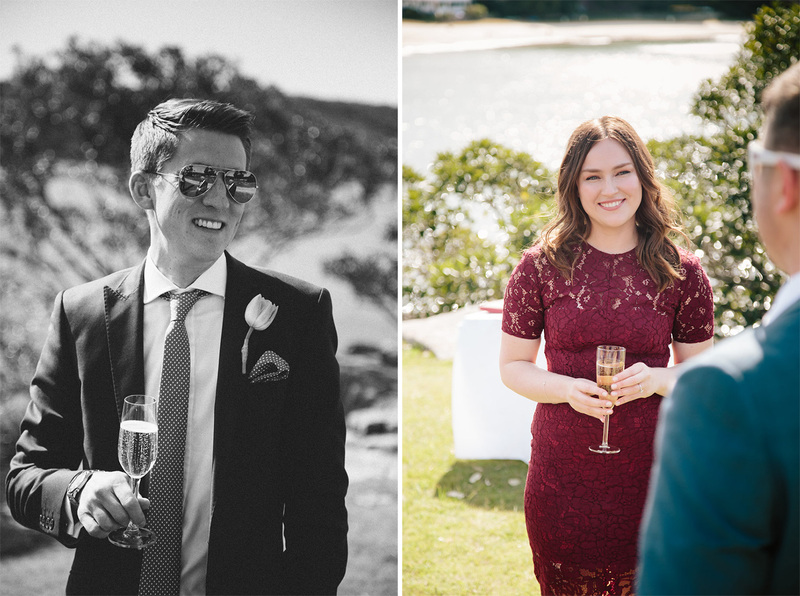 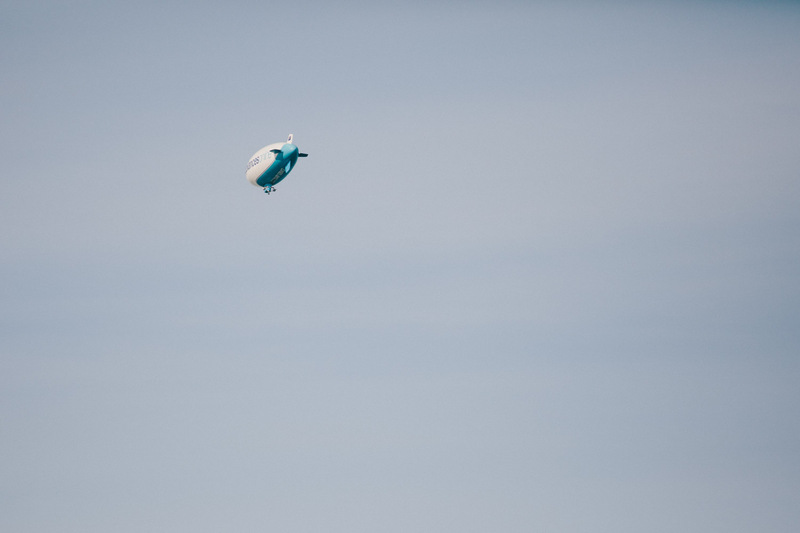 Have a browse through the images below. 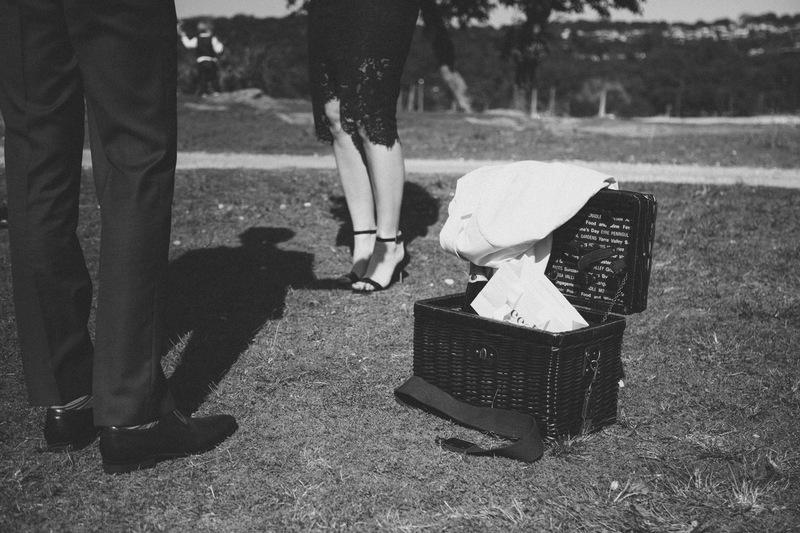 If you would like a quote for wedding photography, please feel free to drop me a line on these contact details. 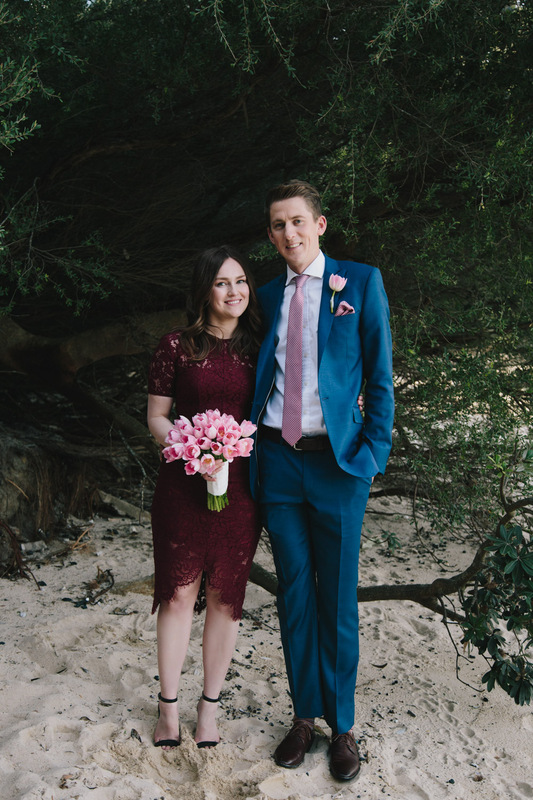 With a personalised, organic approach to your wedding, I think that you will enjoy working with me.